Get married in Melbourne promptly. And at the lowest possible price. Melbourne Civil Celebrant service Simple Weddings provides Australia’s best value Wednesday weddings, combined with unmatched fast service. Simple Weddings is a Melbourne Civil Celebrant with over 11 years experience. 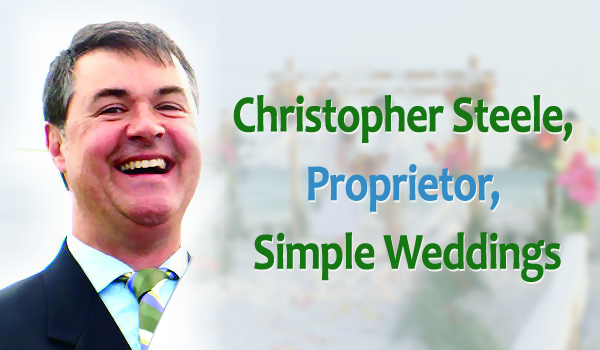 So Simple Weddings understands that many couples simply want to get married. As quickly and inexpensively as possible. Other Melbourne Civil Celebrants simply can’t compete! In fact, Civil Celebrants Melbourne wide know this: That Simple Weddings Civil Celebrant provides absolutely unbeatable value. Instead, simply Hire Civil Celebrant company Simple Weddings and you’ll have chosen a friendly Civil Celebrant… A professional Civil Celebrant… And quite possibly the best Civil Celebrant in Melbourne. Civil Celebrants Victoria-wide admit that for a Civil Celebrant Melbourne loves, you’d be hard pressed find a better nonreligious Civil Celebrant than Simple Weddings. If you’ve been on the hunt for a celebrant service which will make your wedding day a breeze, Simple Weddings is the ideal choice. Furthermore, you can expect your wedding to be fun! Why opt for a stressful, expensive wedding when a Simple Wedding is just so easy? Join the hundreds of Melbourne couples each year who choose Simple Weddings and have a relaxing ceremony instead.